Hello everyone!! 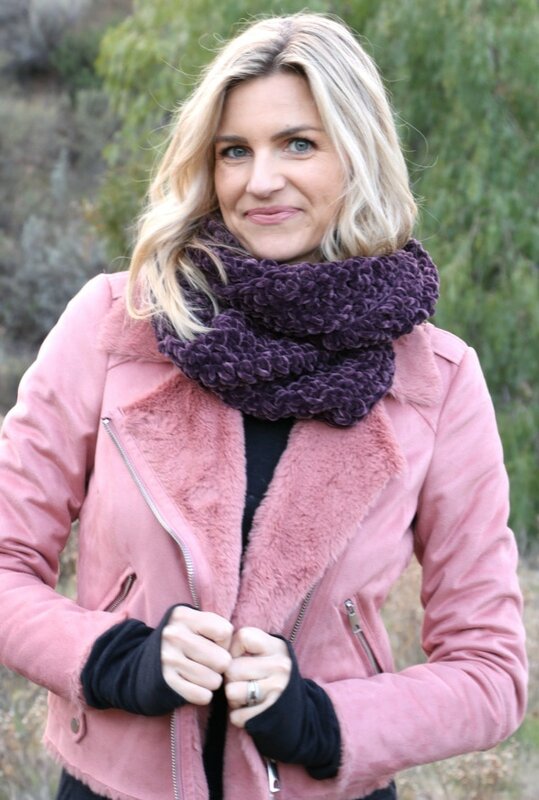 We’ll get to the velvet crochet infinity scarf in a sec… but can I just give you all a massive virtual hug for all of the sweet comments on my last post?! I read every single comment and they brought all kinds of joy to my heart… Thank You! Ok, now on to the real reason I’m writing today which is to share the Easy Velvet Crochet Infinity Scarf ;). While I was in bed recovering from my surgery last month I did a lot of crocheting. My daughter wanted a new hat and scarf for “snow day” at school which you bet I made for her. Once those were done, I was dying to work with the some of the new buttery soft and luscious velvet yarns for an accessory. I decided to make an infinity scarf because I selfishly wanted a new one for myself hehe. 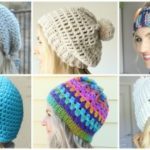 Want an ad free pattern? Click HERE for an affordable instant pdf download. With these types of very textured yarns, in this case a velvet yarn, I find that simpler stitch patterns are better. That’s great for my beginners and those who want easy projects with no counting or complicated patterns. 2 balls of velvet yarn, I used Hobby Lobby because of the color. This Bernat Velvet has great colors too and works up nicely. Notice it suggests a 6.5 mm hook instead of 9mm on the hobby lobby package. The ball is much larger, so 1 ball may work but I would get 2 to be safe. LionBrand has velvet yarn now too. crochet hook recommended from package (mine was M or 9mm) like this, or this if you like inline hooks. This version is 72 inches long and 9 rows, still used 2 balls. Starting with a slip knot create a foundation measuring approximately 48 inches. For me, it was around my neck and down to my belly button. The green version is 70 inches long. Make adjustments as desired, if your chain is longer than 48 inches, you will need 3 balls of yarn. Connect foundation chain to create a ring. Make sure foundation chain is straight and insert hook into the front of the first foundation chain and make a slip knot. Chain 2, double crochet (dc) in first foundation chain after the chain 2 and place 1 dc per foundation chain until you finish the first round. Slip stitch to the top of the original ch 2, ch 1 and place 1 single crochet (sc) in every dc all the way around. When you come back to the beginning, slip stitch (sl st) and ch 2 to do step 3 again. 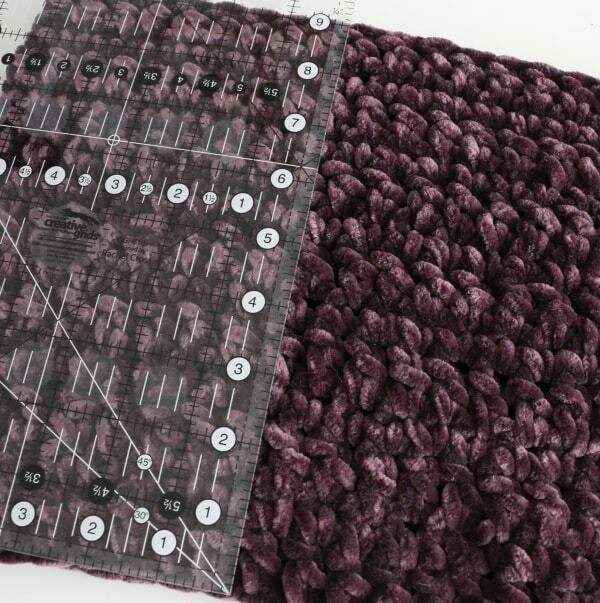 Then repeat step 4 until you have 13 rows (end with dc round) and scarf reaches 9 inches wide. Green version is 9 rows. Weave in all ends. With the hobby lobby yarn, make sure you leave a long enough (at least 6-8 inches to weave in). The yarn does fray on the cut ends so it needs to be woven in well. Congrats! You did it! 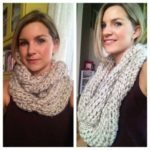 You made your own infinity scarf! Here is the scarf doubled up on me. If you want the doubled look to be a bit longer, add 10 inches to the foundation chain and purchase a 3rd ball of yarn. 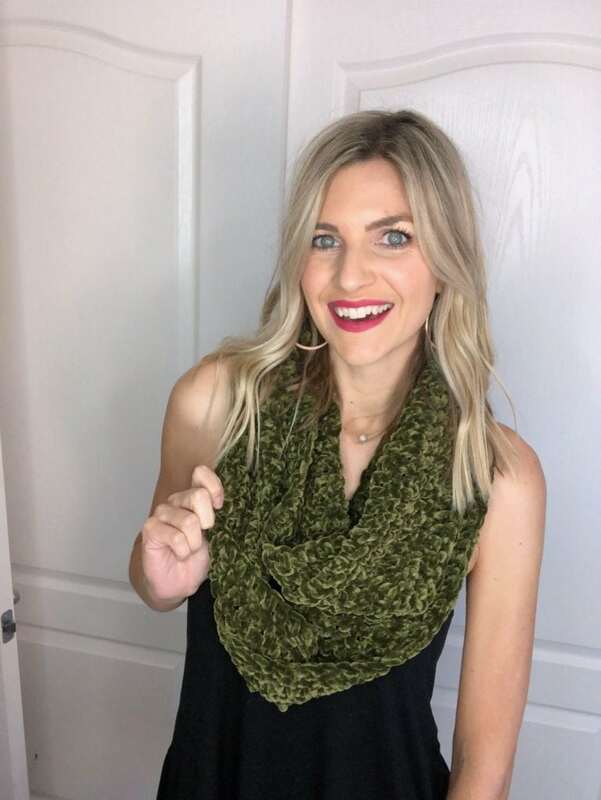 Thank you for checking out my easy velvet crochet infinity scarf, please let me know if you have any questions in the comments section! I was just drooling over some velvet yarn but didn’t know what I could make – now I do, thank you! Here’s to a happy, healthy 2019! Hi Melanie, so glad to have you back and healthy! My daughter had the same surgery and is now living with one kidney and doing well. Difference is hers was cancer. So excited to do this tutorial. I already have some Bernat velvet and I was wondering if you think it would work up better in the long or shorter version. Thanks so much and prayers to you and your family! You are amazing! I learnt how to crochet through your videos. My first crochet was a blanket for my newborn which I haven’t used it yet. It’s ready and wrapped up inside. Will plan on doing g this velvet scarf for myself. Nice to see you getting better. I plan on knitting the exact green one for me, can I know where you got that yarn from ? 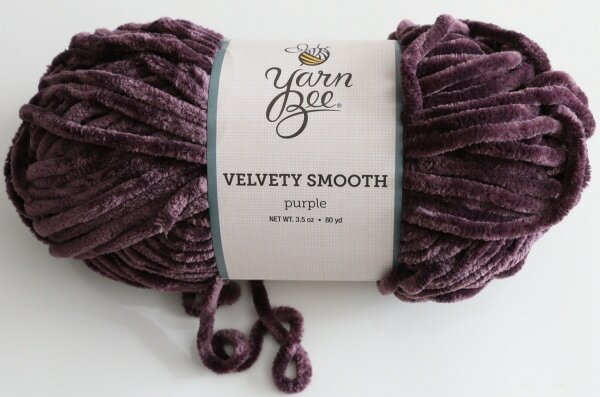 Velvet is so pretty and I never thought of knitting a scarf out of it, your choice is amazing ! So glad you are recovering well. And love the scarf, i am not at that stage yet for doing a project like that but definitely will get to this when i am. Can you do more project with the velvet yarn?! I’m sooo happy you are back and on the road to recovery. I learned everything I know through your videos and always recommend newbies to the craft. Thank you!! 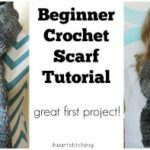 Love the scarf but I’m still a newbie to crocheting and would love to follow you in a video. Glad you are feeling better!! Hi, my 2019 challenge is to learn to crochet, I am going to make the baby blanket for my first grandson. Question I couldn’t find a 11.5 mm needdle so have got a 12mm or 10mm which do you recommend I should use ? Longer detailed video would be awesome if ypu have the time! Its very nice. I love the color.Please don’t overdo it. Rest and recover. I’m so glad you’re feeling better. Thank you for all of your tutorials. They are wonderful. I’m wondering if you have a crochet pattern and tutorial for a pot holder. My sister can make a really neat one that has a very tight, thick weave that I’d like to try. She tried to teach me but she is left handed and I’m right handed and we couldn’t make it work. Any ideas? Thanks and I’m glad you’re back!